If you head into Mulberry Street and sign up for emails, you'll receive exclusive offers. Did you know? Their current exclusive offer is for your birthday! 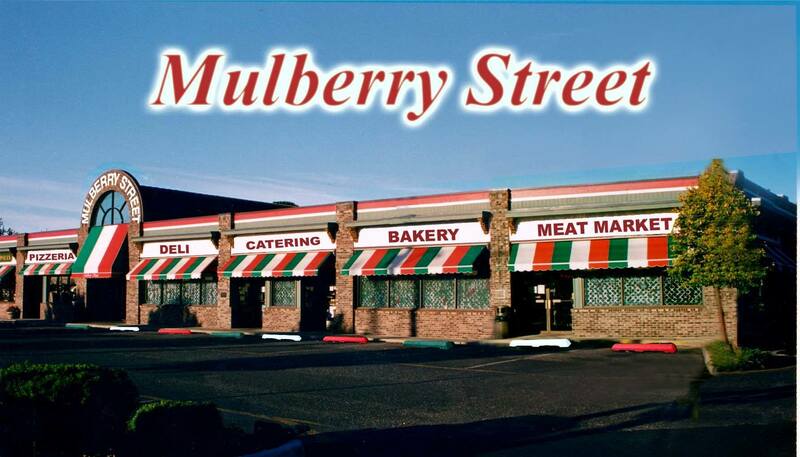 On your birthday, come into Mulberry Street and receive either a free $12 quart of sauce OR $10 off your purchase. The choice is yours! View Mulberry Street's menu in it's entirety here. *Please remember that Mulberry Street has the ability to make over 90% of their menu entrees GLUTEN FREE. Here at Mulberry Street™ Italian Food Center we adhere to the belief system that change should always occur expressly for the benefit of our loyal customers. Therefore, constant and never ending improvement is a continuous goal. As long as we are constantly on track to never ending improvement of servicing the needs of our customers, then all of our goals and objectives can be achieved. The new Mulberry Street™ website is another extension of our store. It will allow our customers to interact with us to provide quality products at a great value. Orders will be able to be processed live and picked up at a later time that day or a future date. As with our commitment to never ending improvement to service, the website will constantly be expanded to serve all of our customers needs online, in the store and so much more. Please frequent our site to keep up to date with our daily improvements on Italian specialty foods & services for you, our loyal customers. For all your Butcher, Deli, Bakery, Prepared Entrées, Soups, Sauces & Grocery needs, delivery is now available for a $5 charge. Stop in, phone or fax your order over and have it delivered that afternoon or the next day.